Electro Harmonix 6CA7 – At last something to replace the hole left since the EI 6CA7 went out of stock. 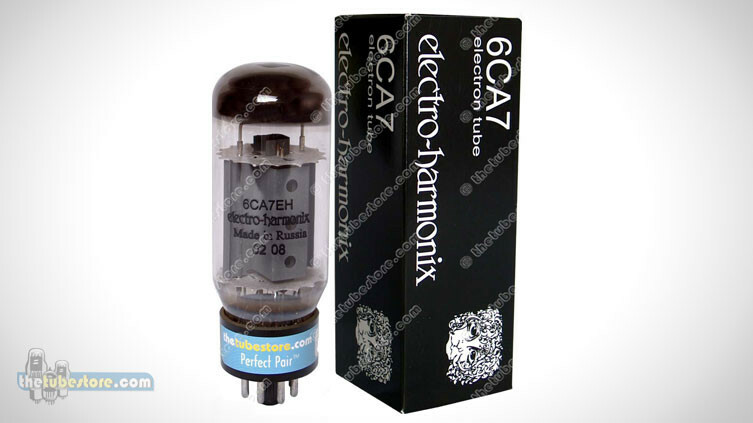 These Electro Harmonix 6CA7 tubes sound every bit as good as the old EI tubes and are probably my favorite tubes for Hiwatt guitar amplifiers. It’s like they were made for each other. These tubes are like EL34’s on steroids. They handle high voltage and current without problems. As mentioned, there is nothing like a Hiwatt head powered by 6CA7 tubes and driving a 4×12 cab loaded with Fane speakers. This is classic rock tone at its finest. It’s the sound of Pete Townsend and The Who. The 6CA7 has more headroom than an EL34 and by the time you get it really crunchy sounding your pants are flapping in the breeze. Just the right amount of compression for great thick rock tone. Biasing levels can be dialed in from warm to hot without causing significant tonal changes. The EH is well constructed and should not pose any noise problems. If using these tubes in more reasonable systems the EH 6CA7 is capable of some really nice clean tones thanks to that extra headroom. 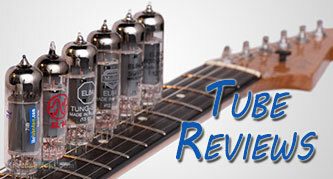 If you want early Van Halen, these are not the tubes for you. If you want something loud and proud, you want to put the EH 6CA7 in your amp. I have a Primaluna Dialogue Premium HP amp & was looking for the EL34 sound with more punch. Bought 8 EH6CA7’s, put ’em in. Even after 50 hours, they sound powerful in the bass region, but dull & veiled in the midrange with less detail. The top end is also very laid back compared to the EH EL34,s.These may work well in guitar amps, or a very bright HI-FI home audio system, but I found them to have a masked, very warm sound, which I did not like.It’s all system synergy dependent, I tried the Tungsol KT120’s, blows both of them away in every audible aspect! I think Iv’e found the power tubes for my system & musical taste.I also have a PL Dialogue Premium Preamp, Focal Aria 926 speakers,Marantz SA8005 SACD player-EXCELLENT SYNERGY!